The modern waste management industry is a complex and rapidly changing sector calling for a wide range of technical skills, expert knowledge and transparent legal compliance. 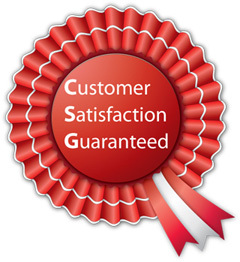 For this reason, Cleansing Service Group (CSG) places high priority on third party scrutiny of its work, and seeks objective inspections of its external and internal performances whenever possible leading to national and internationally recognised quality and environmental standards. Quality accreditations show the company meets high industry standards but, as standards and expectations continue to rise, achieving them demands a high level of commitment. Among the company’s external accreditations are ISO 9001 Quality Management and ISO 14001 Environmental Management as well as SAFE Contractor and Contractors Health and Safety Assessment Scheme compliance. The company’s specialist spills services are accredited with the UKSpill Contractors Scheme. The utility industry is covered by the Utilities Vendor Database (UVDB) and the railway industry by The Link-up qualification scheme. Constructionline accreditation covers the provision of construction services and Altius Assured Vendor accreditation many major retailers. Several of CSG’s facilities have been recently reviewed by the Commercial Hazardous Waste Management Evaluation Group (CHWMEG) whose membership represents over 270 worldwide organisations, covers a number of industrial sectors, and includes many blue chip companies. As a measure of its internal performance the company has recently been awarded the Investors in People (IIP) accreditation and its drivers who transport dangerous goods are all ADR qualified. The extensive list of approvals gained is an indication of the company’s commitment to maintaining the highest possible standards.